It is from recognition of the effectiveness of this Chinese tool that has encouraged more westernised professions to learn and integrate basic parts of acupuncture into their practice, however their training is usually specific and limited. To receive maximum healing effects from acupuncture always seek a registered and fully qualified TCM Acupuncturist. The human body already has an inbuilt healing system. For example if you sprain your ankle your body taps into this system and begins the healing process without any external help. Chinese Medicine completely understands this complex healing system and uses this knowledge + tools to direct the body’s healing energy to different areas needing the most attention…. let this sink in. Symptoms are the body’s way of notifiying you that your body is not in complete health. Each symptom is linked with a particular aspect of your body’s health and reveals to the Chinese Medicine practitioner where your health requires attention. 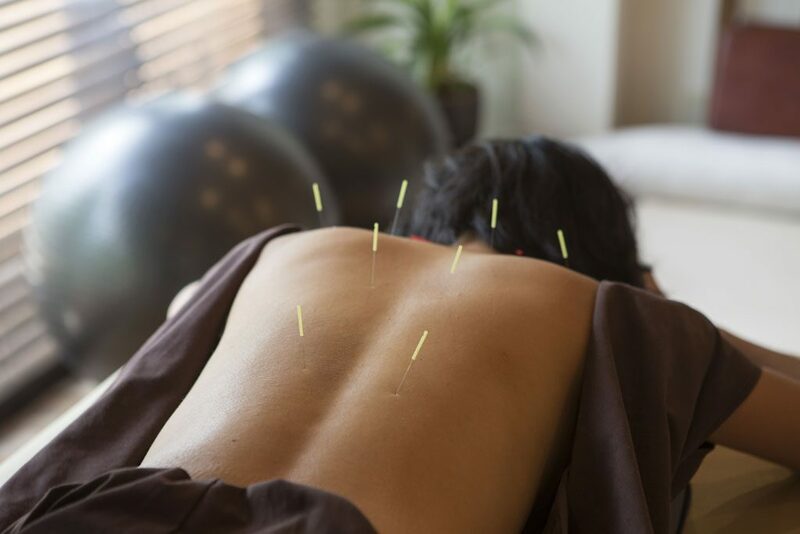 The practitioner can then use acupuncture on particular points on the body to stimulate the innate healing system. This resolves the symptom. A course of treatment required is varied. This is due to individualised treatment. Conditions that are more chronic, severe and are accompanied with many signs and symptoms generally require more treatment than those of an acute and minimal nature. Usually prepare to allow 3 treatments for substantial change although commonly you will notice change after the 1st treatment. If there is no change after the 3rd treatment then referral is likely. For more chronic conditions treatment may be longer term. Mental health and emotional imbalance. Perfect for those with drug allergies, babies/children, elderly and women during pregnancy, patients wanting to limit pharmaceuticals or wishing to control drug side effects, post-cancer recovery and anyone who prefers a Green prescription. The field of Women’s Health in Traditional Chinese Medicine is very well utilised and commended throughout New Zealand. This is due to TCM understanding the complexities of the cycle rhythms; having the ability to diagnose the internal disharmonies causing them; and having the tools to successfully correct the imbalances using acupuncture and Chinese herbs. The menstrual cycle can be divided into four stages. Through investigation the TCM acupuncturist can determine which stage of the cycle is imbalanced, it is possible for only one small aspect to throw the whole cycle off track. The practitioner examines timings of particular sign’s and symptoms to discover diagnostic patterns, takes tongue and pulse readings, and determines treatment outcomes. TCM treatment is always hugely individualised, your course of treatment may vary from once every week, or it may be three times in one week but only one week a month, all depending on what requires treatment. In TCM, the menstrual cycle rhythm is governed by the Liver energy. If anything internally or externally has stressed the Liver, or put pressure on the Liver then the cycle can change pattern. Acupuncture can correct what is causing the cycle to be irregular, whether it displays in excessive or absent bleeding, inflammation and pain, ovulation issues, or cycle length changes. The contraceptive pill takes control over the body’s supply of hormones, it limit’s the body’s need to create and control its own production of hormones so this bodily function enters hibernation. This hugely affects the cycle rhythm, and once the contraceptive pill has stopped, acupuncture can be very effective in reawakening the hormone production and encourages the repair of the natural cycle. There are many different reasons the body can be acting infertile. Simply put, if the body doesn’t have the resources (correct blood, energy, organ function etc. ), the correct thermic temperature, a healthy physical environment, or has stronger opposing forces such as high-stress or auto-immune issues then infertility can occur. TCM truly recognises the importance of a healthy reproductive system before attempting pregnancy, not only to allow the pregnancy to happen but to offer the best environment for the development of the baby from conception. TCM acupuncture and herbs are mainly used in the first and third trimester but can be utilised at any time. In the first trimester acupuncture can give considerable relief for nausea, vomiting, headaches, pain, and temperature changes, also excelling at calming stress and regulating mood. TCM acupuncture is commonly sought for the first 12 weeks of anyone using assisted reproductive technology methods, such as IVF, to limit chances of miscarriage and control side-effects from hormone changes. In the second trimester treatment is sought to control signs and symptoms that appear from the excessive weight and fluid such as muscle or nerve pain from growth or vein issues and swelling from compression; other symptoms that can be helped are hypertension, constipation & haemorrhoids, gestational diabetes, itching, fatigue, mood instability and anxiety. In the third trimester, similar symptoms as in the second trimester can be addressed, however, the focus is on preparing the body for labour. Research suggests that using acupuncture from week 38-41 can decrease the possibility of complications, and ease the birthing process. We recommend this for all first-time mothers and anyone that has had a difficult birth in the past. With over 8 years training in health care including Herbal Medicine, Traditional Chinese Medicine, Acupuncture, Massage therapy, Rongoa, Mirimiri, Mahi Wheua, Biomedicine, Reiki, and Philosophy. Rana has been working in health care for 5 years in many rolls such as private Caregiver, Massage Therapist, Acupuncturist, and Herbalist. Rana aims to give each person individual treatment to help them reach their goals. Rana is happy to work alongside other practitioners so that you can get the most out of the care you receive. Rana believes that there are beneficial aspects to all modalities and is comfortable to support you in choosing treatment that resonates with you. Rana believe’s in not only treating illness but also preventing illness. That there is no need to become ill in order to become well, if we become well now and maintain our good health we need not suffer ill heath in the future. During her study and working in healthcare she has had the great fortune to help people at different stages; recovery, prevention, and reaching their goals. She has worked in the prison system with people recovering from drug addiction. Rana has also experience working in Hutt Hospital treating women in pregnancy with varying issues, fertility issues and postnatal depression. Rana has also worked in private clinics treating everything from sport injuries to digestive issues and mental health.